Snippets of Jack: "A toast to piracy and it's many shiny rewards!" "A toast to piracy and it's many shiny rewards!" Hey guys! I know it's been a few weeks but we are back to posting now! Just a heads up to all, we have been getting a ridiculous amounts of spam comments lately. We would love to read what you have to say, but please only post if you have something relating to the Pirates of the Caribbean. Also, tell all your friends about us and follow us! We have been dropping page views even though the number of posts have been raising. Now, after that brief public service announcement, I would like to continue on to our topic today: real pirating. Now, I didn't know all that much about real pirates during the time the Pirates of the Caribbean took place. So I recently watched this documentary on pirates during that very time period. It was put out by the History Channel in 2005 and is all about pirate ships. So I thought I should give you a brief summary of what they had to say. You should really watch it some time. It's on instant queue on Netflix so you should really check it out. Now, the Golden Age of piracy was during the seventeenth and early eighteenth century. This began when Spain and England were at temporary peace so many seamen found it very difficult to be privateers or join the Navy. They turned to piracy instead. There were two main types of ships that pirates usually sailed: large three-masted vessels which usually used to be merchant ships, and then there were smaller ships like single masted sloops or a two masted sooner. Big ships were used to scare the opposing side where as the smaller ones were better for surprise attacks. 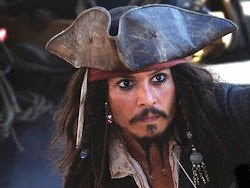 The word "pirate" actually comes from a Greek word which means to attack. Pirates would often sail these ships over whole oceans, so they had to be in good shape and sea worthy. In The Price of Freedom the Wicked Wench has to go through quite a bit of alterations before she is ready for Jack to set sail. When Columbus discovered the New World in 1492, he sparked a new age of sea exploration, trade, travel, and of course, piracy. Most ships crossing the Atlantic, merchant or Navy or pirate, were three masted because they were the most efficient. Often, when pirates wanted to obtain a better ship, they did so in the same way that they got everything else: they attacked and stole it. They would have a whole succession of ships that they owned, all named the same. Pirate crews were infamous for the viciousness in battle, as seen by many of the Pirates in the movies, including the cursed crew of the Black Pearl under Hector Barbossa. While the movies make the pirate life seem like all about gold, women, and rum, pirates actually lead a rather difficult life style. Often they were poor and starving as they had to capture and fight for their basic necessities. If you remember, in the Price of Freedom, the red flag flying over a pirate ship warned its prey that there would be no quarter: no surrendering, only defeat. That is actually how it was in real life. The red flag was dreaded and feared by any merchant ship sailing the seas. However, when you think of it pirate crews were actually more democratic than other ships of that time period. Crew members came from all sorts of backgrounds: slaves and prisoners from all around the world. Some where even women! All were united on one ship carrying out the same types of duties despite their race or other factors. A.C. Crispin mentions this in her novel when Jack thinks about how Chamba, the run away slave, would do much better in the pirating world than he would in the colonies. Towards the beginning of the novel, Bainbridge, an EITC captain, has a total fit when he sees Lady Esmeralda is pirate of a ship. It was outrageous for the British that a woman would have such a powerful position, but not quite so much in the pirating world. Many buccaneers had codes that promised the crew members compensation for any damage that occurred to them while at sea and agreed to split any profit between all of them equally. Similar to the movies, captains were at the top of the system, so we can see why Jack was so pleased to be one. They were actually often elected by the crew! Crew expected their captains to be tough during attacks and good at navigating the sea, both of which Jack is. While marooning did unfortunately exist, walking the plank was never actually proven to be a punishment on board pirate vessels. 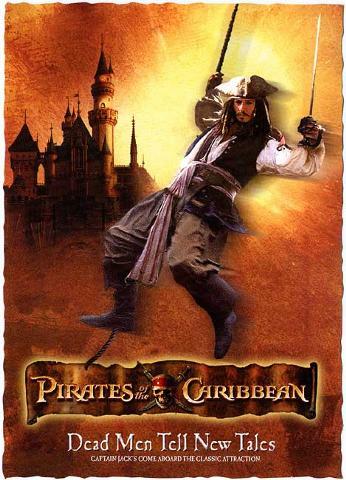 Also alike the movie, the pirate Blackbeard was a great example of piracy. He sailed the seas right at the peak of the Golden Age of Piracy and personified the whole practice. He started out as a privateer for Britain, but when he as thrown out of work he turned to piracy. In 1716, he was elected captain of the Queen Anne's Revenge. The ship went on great rampages throughout the Atlantic, attacking plenty of merchant vessels. Sound familiar? The documentary talks about many other pirates and aspects of piracy during the Golden Age of Piracy, but the rest is for you to discover for yourself! Hope you feel a bit more enlightened on piracy now!